Turkey’s geopolitical situation for the last decade and so was one of shifts and balance. Positioned between the European Union and the ravaged Syria and Iraq, Turkey is facing an own turf insurgency in the south-east led by Kurdish separatists and terrorist attacks from Da’esh (ISIS/ ISL/ IS). From a political standpoint, the country has been stable due to the AKP (Justice and Development Party) hegemony that’s been lasting since 2001. The current Turkish President, Recep Tayyip Erdogan has held the Prime Minister role between 2003 and 2014, afterwards he moved towards the presidency with intentions of boosting the executive powers. Erdogan’s rule has been marked by violations of the rule of law, displacement of the traditional secularism, political arrests and overall promoting Political Islam. As a leadership figure he mentored figures as Davutoglu, he’s “second in command” but recently disposed him and moved forward as PM an old time buddy, Binali Yildirim – which was in charge of the Maritime Public Transport in Istanbul when Erdogan himself was the Mayor. Another trademark of Erdogan is his huge electoral legitimacy alongside his Party. Only in the last presidential elections he won with 51%, at a 13% distance from the 2nd place; as in the 2015 general elections the AKP won with 49%, by a 24% led from 2nd place detained by the CHP. The Justice and Development Party controls everything that can be under political control. But the Army has always had in Turkish affairs a symbolical, practical and reactive position. The founder of the modern Turkish Republic, Mustafa Kemal has thrown a coup himself in 1908 with a group of officers called the Young Turks against the Ottoman Sultanate, reinstating the multi-party system and secularism. Even from those times, the Armed Forces were branded as the defenders of secularism and laicism . More coups followed in 1960, 1971, 1980, 1993 and 1997. The more we approach the present, the more complicated things get. Except for the coup in 1980 led by general Evren, the rest of them brought more democratic control and used the elements of secularism. Even though these coups could be more easily understood by the Deep State that Turkey has, or, A State within a State. The more recent ones (1993;1997) were actually about the Kurdish conflict or the Coalition government led by the Welfare Party which were approached by covert means, involving false flags, assassinations, implications of the Turkish mob, closed groups inside the Armed Forces and many other elements, than a battle of ideals. The operation was launched last night using the element of surprise as a main joker card, this played such a huge part into it that it almost brought an early victory to the closed army group. This bears resemblance to the 1997 “postmodern coup” led by Turkish admiral Salim Dervişoğlu and his closed network within the Armed Forces, called Western Working Group. 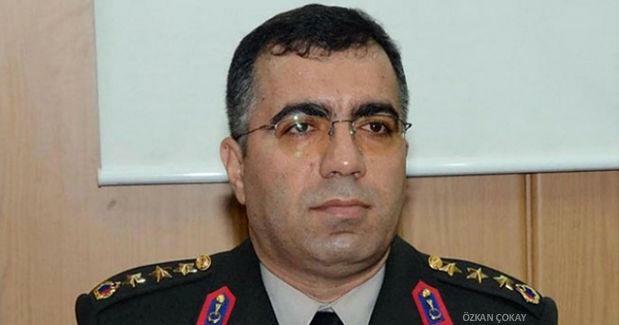 The coup was led by Colonel Muharrem Köse who is currently detained by Turkish authorities and was in fact fired in March 2016 for involved with the Gulen Movement, as many others afiliated and arrested in allegation with the Coup. 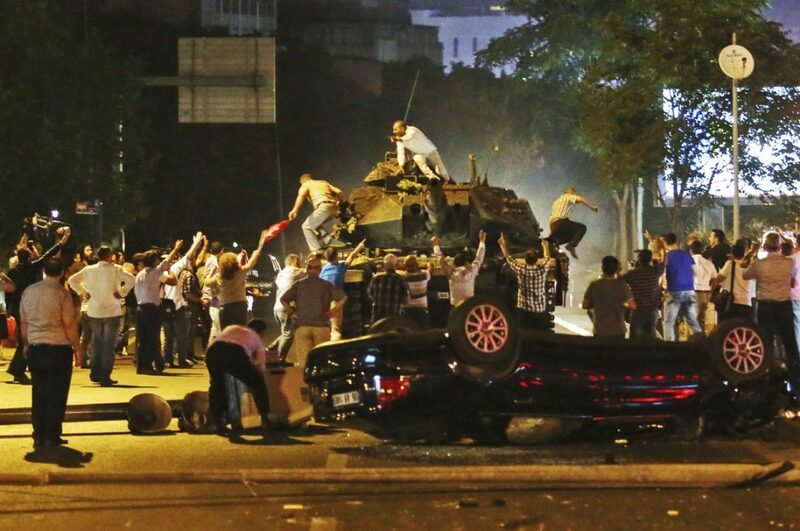 The Gulen Movement is officially blamed for the overthrown attempt. The Coup was operated mainly in Istanbul and Ankara. The Capital witnessed gunfire exchange between Police and Army personnel, while an F-16 downed an Police helicopter and possibly even hit the Parliament building. Later on, Turkish President Erdogan landed on Ataturk airport in Istanbul, awaited to walk into an ambush prepared by the Army that seized the bridges over Bosporus, using military assets as Tanks and LAIVs. Soldiers entered private news company CNN Turk, occupied AKP buildings, seized main squares and even exchanged fire with Police forces in both Istanbul and Ankara. Cyberspace was also operated as Social Media tools were jammed or closed. 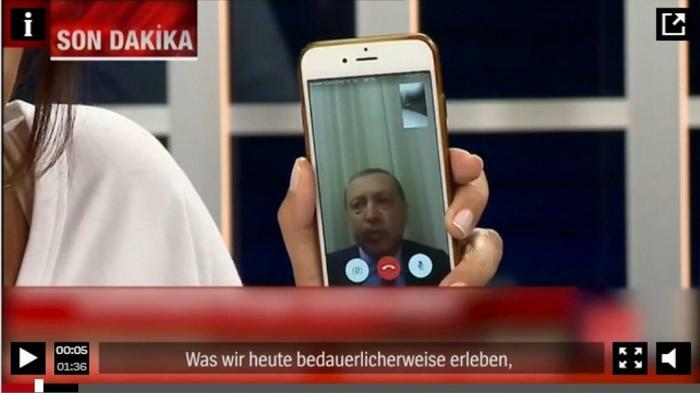 Erdogan’s video message posted online and on TV channel has been a game changer in the development of this entire Coup, calling for people to go on the street and counter the overthrow attempt. He said that a “parallel structure” was behind the coup attempt — his shorthand for followers of Fethullah Gulen, a Muslim cleric whom he has repeatedly accused of trying to foment an uprising in the military, media and judiciary. Gulen, who lives in self-imposed exile in the United States, once supported Erdogan but became a leading adversary. He condemned the attempted coup and said he played no role in it. “As someone who suffered under multiple military coups during the past five decades, it is especially insulting to be accused of having any link to such an attempt. I categorically deny such accusations,” Gulen said in a statement. Secretary of State John Kerry said the United States had not received any request to extradite Gulen, quoted by Reuters. Hundreds of thousands of his followers have quickly responded and coordinated with Police. The Army opened fire on protestants especially in Istanbul, but the soldiers were quickly overwhelmed. By morning, most of the soldiers have given up and the tables dramatically turned around; the Police needed to protect them from the violent civilian rampage. The leaders were the first to be arrested and the Government is set to make an example out of them by reintroducing the death penalty – still under discussion. When the Coup was already in place there were no external reactions. For sure, every leader waited to see the outcome before they release a statement. The US, for example, hasn’t even communicated a position when the Army announced that the Coup was finalized. Through the coup-rich history of modern Turkey we learn that the US was always notified by the Army before these kind of operations began. Every new government in Ankara needs from the start to be in good relations with its most important partner, the US. And as things evolved, by the morning everyone sided with the winner, Erdogan. Some soldiers are still conducting the Coup and now that the Government regained control over most of its power, it has already launched a hostile informational environment in order to flush them out of any support. The “Rebels” are in some extent still active and are witnessing a chain of arrests and top-to-bottom measures. Erdogan has already replaced over 2400 judicial figures and arrested many top commanders, as General Adem Huduti – the most senior officer to be apprehended so far. He commands the Second Army, based in Malatya, that protects Turkey’s borders with Syria, Iraq and Iran. Even the first measures taken by Erdogan’s government are an equal hard hit into a country’s rule of law and democratic principles, as a Coup is. The Coup has altered even the anti-ISIS Coalition as power has been cut to the Incirlik NATO base and an no-fly zone has been instated. Washington has ceased air strikes for today in Syria and Iraq, and soldiers are not allowed to leave the base. Why did this coup fail? First of all, there wasn’t a total army participation, evidently. 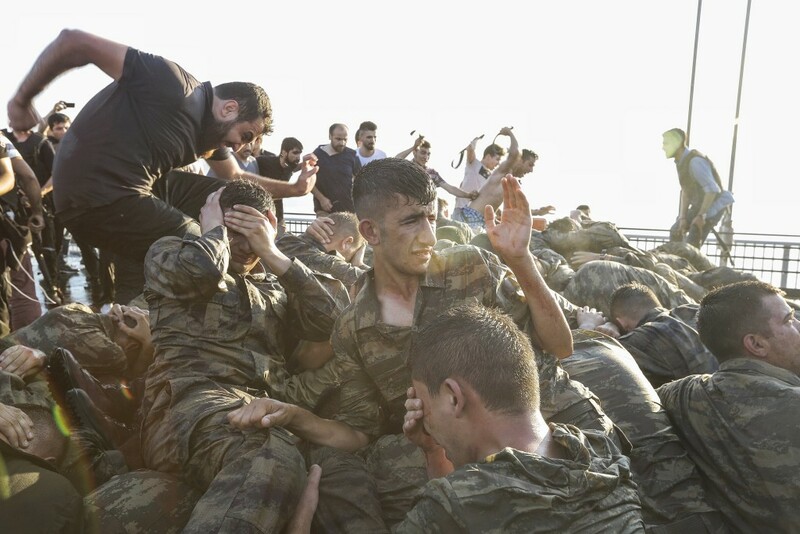 Some of the younger low ranking soldiers, most of them conscripted, even said that they weren’t aware that this was a coup but a military exercise. Furthermore, the fueling point of the Coup was not actually ideological endeavor but a political play. The leader and his group were followers of the Gulen Movement, so as a consequence there wasn’t enough social approval. Popular support was lacking or wasn’t strong enough, as it couldn’t balance Erdogan’s followers. Turkish Intelligence, which is mandatory to be involved in such an operation, probably bailed out or were undecided to begging with. The Coup was that kind of a conspiracy that fuels Erdogan’s actions and which he uses to motivates his actions in front of the public. This being the case, conspiracy theories of this being a self-Coup should not actually been taken out of the picture. Turkey has a long history of false flags and conspiracies. This wasn’t necessarily a Coup, but a power play using conscripted soldiers, under an impure motive, with a narrative that wasn’t strong enough in order to gather the population around it, or at least the entire Army. There by we can conclude that the current statecraft is too tailored to the AKP and well engineered that it couldn’t betray the current Government. By now the failed coup has killed almost 270 people and wounded 2,600, most of them being police officers, than soldiers and civilians. The number of people arrested in connection with the Coup is expected to reach over 5,000. The counter protest has proved to be successfull in aiding Erdogan to regain his government. But most of the work is being done behind closed doors and through political powers. If the “Rebels’ can regain support and more assets they could stage a small civil war, spilled in the many layers of the Turkish Deep State – organized crime, military, politics, economics – which would become the real opposition power in face of the AKP. Alignment with external actors are also an important but unclear input for now. Most assured, this action, failed as it is, will be the foundation for a more tailored legislative and executive package. If the “Rebels” are still planning to succeed their window is closing quickly or has already closed. As for Turkey’s political governance, it’s rather unlikely that the AKP wouldn’t view this as an opportunity to enhance their hegemony.